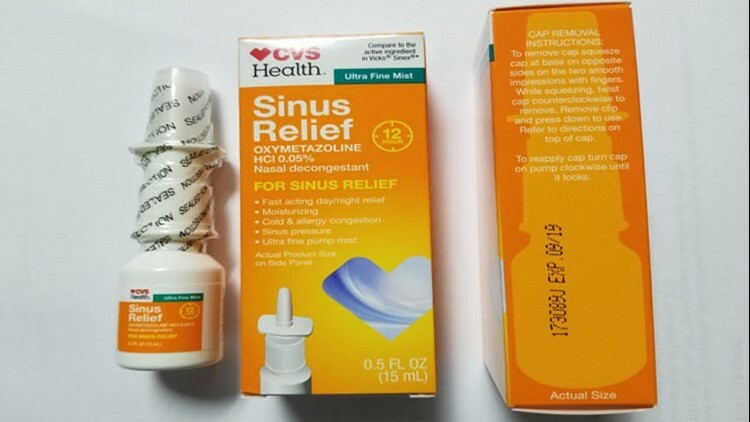 A nasal spray mist is being recalled after it was found contaminated with Pseudomonas aeruginosa, which could be life-threatening to people with certain conditions. The Food and Drug Administration said the repetitive use of the spray "can potentially lead to colonization and subsequent infection which can be life-threatening in certain patient populations, such as those with cystic fibrosis or immuno-compromised." However, the CDC said healthy people infected with Pseudomonas aeruginosa could develop mild illnesses as well, especially after exposure to water. Specifically the CDC noted that those with Pseudomonas aeruginosa could develop "ear infections, especially in children, and more generalized skin rashes" after exposure to inadequately chlorinated hot tubs or swimming pools. "Eye infections have occasionally been reported in persons using extended-wear contact lenses," the CDC said on its website.